Hey guys, thanks so much for stopping by! I don’t know about you but it’s still in the 100’s where I live, so safe to say I won’t be putting away any summer clothes any time soon. 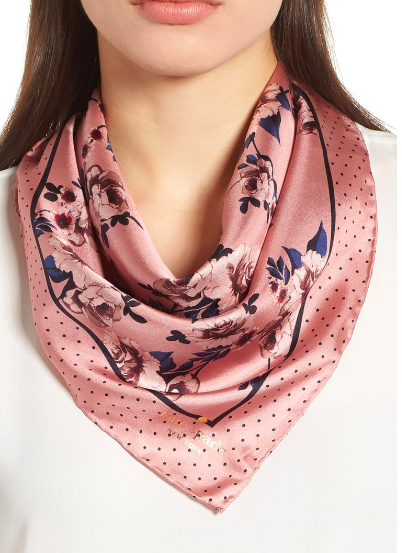 One accessory that continues to be an all time favorite for me is a scarf. 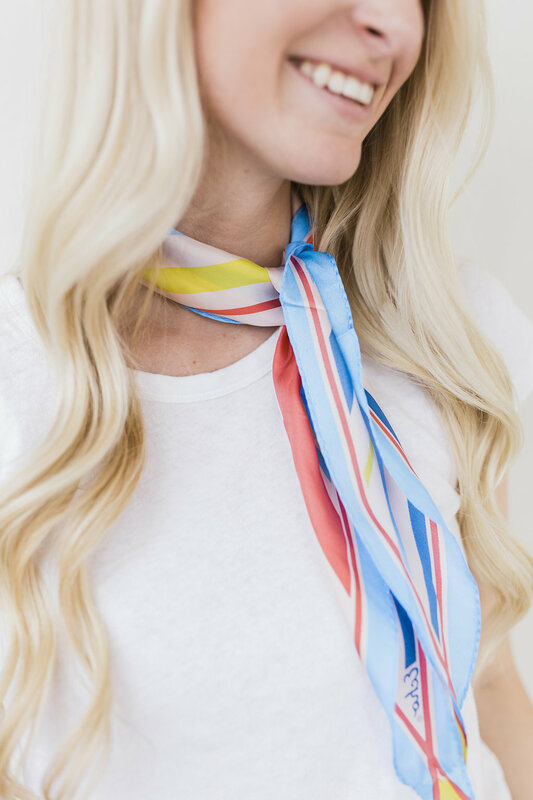 To me a scarf is a timeless piece, one that can be dressed up or down, that you can wear with any classic look, at any time, in any season. 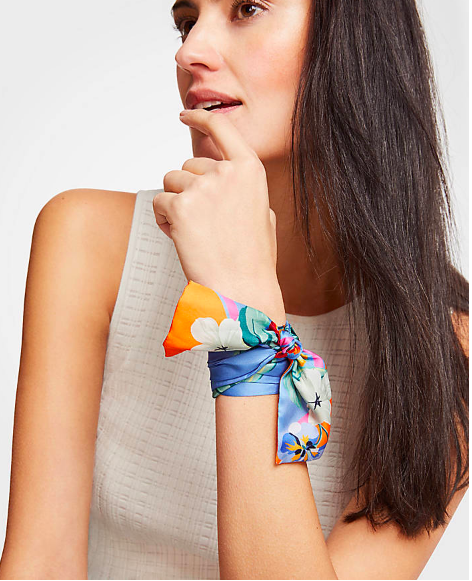 When I saw this one from Nordstrom, I immediately fell in love with the satin detail and bold bright colors. 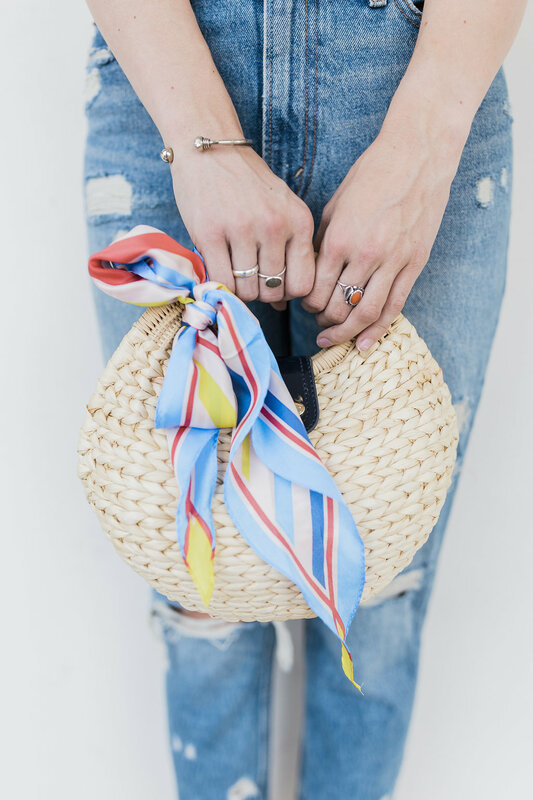 It’s continued to be my go to accessory this summer, and I keep finding ways to incorporate it in my everyday looks. 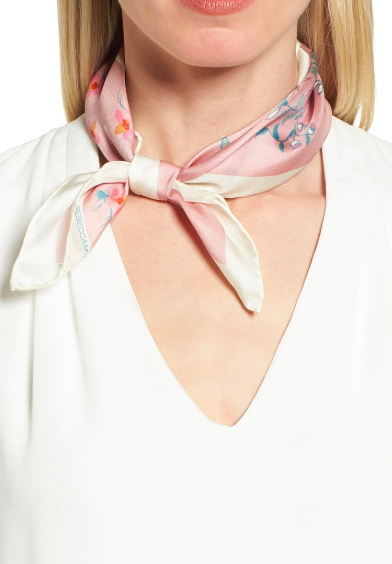 It’s as simple as tying it around your neck or on a purse, but makes such a statement and adds the perfect feminine touch to any look. 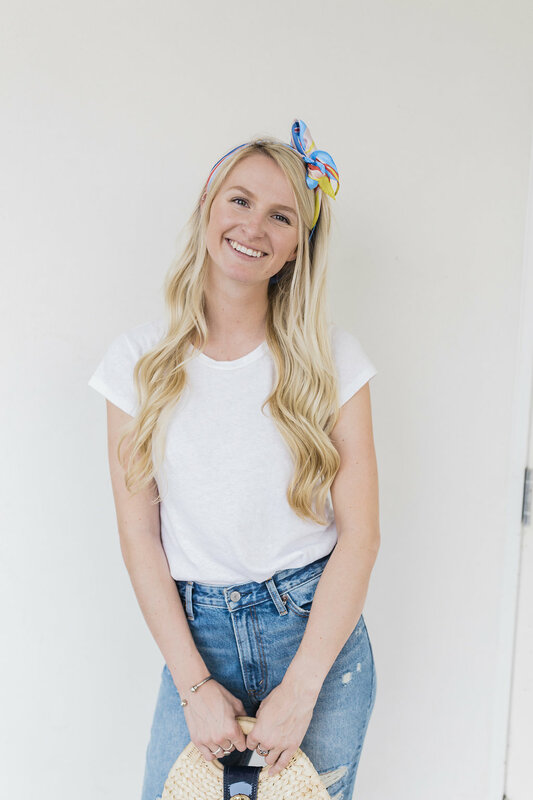 Below I listed the top 5 ways that I have styled scarves this summer. Each one is as simple as the next but can make such a difference in your overall look. Also rounded up some up and coming pieces to transition to fall this year. In your ponytail: With constant hot weather these last few months my hair is rarely ever down (at least all day that is). 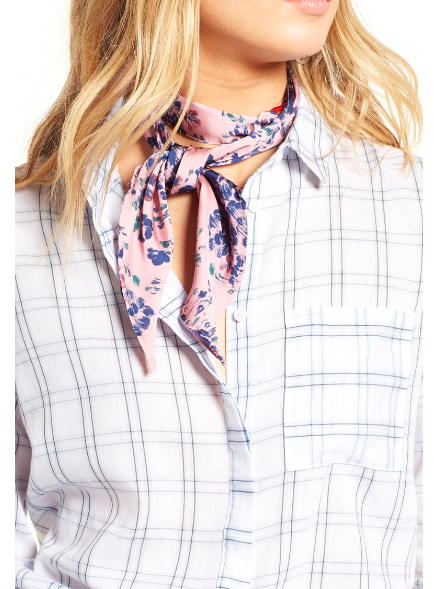 I love the effortlessness of a ponytail pulled back with a scarf or even a half up half down look. 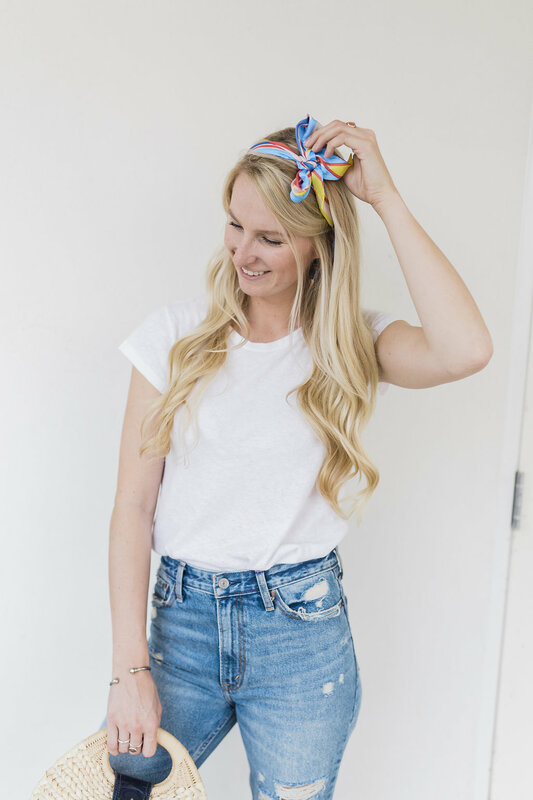 This has probably been my go to style this summer because who has time to do your hair #amiright? I also love this look poolside or lakeside to add some fun print to a more simple suit. 2. On your purse: When it’s not in my hair it’s usually tied on my purse. 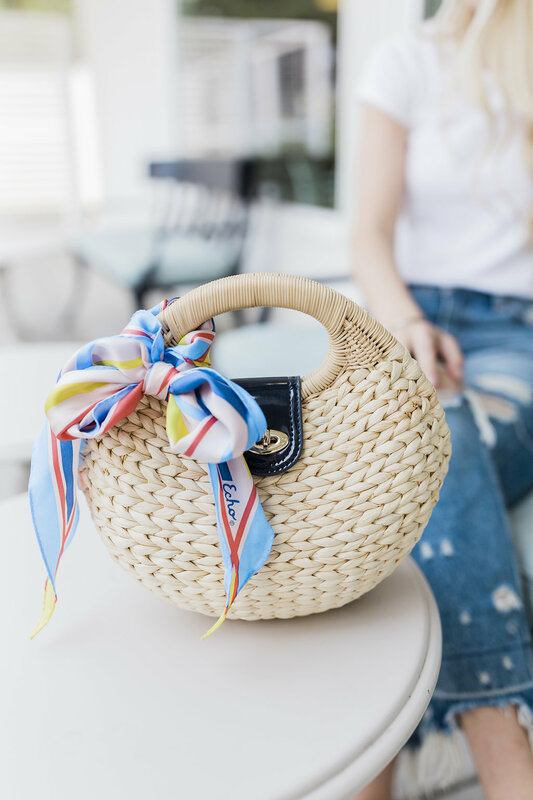 I love how a scarf looks around a basket purse filled with flowers or even a travel bag for a weekend getaway. 4. 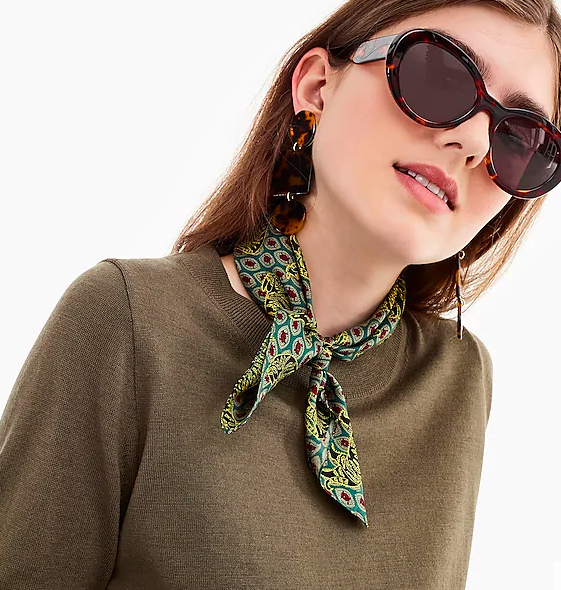 Around your neck: More of a basic way to wear a scarf but several different ways you can style it. 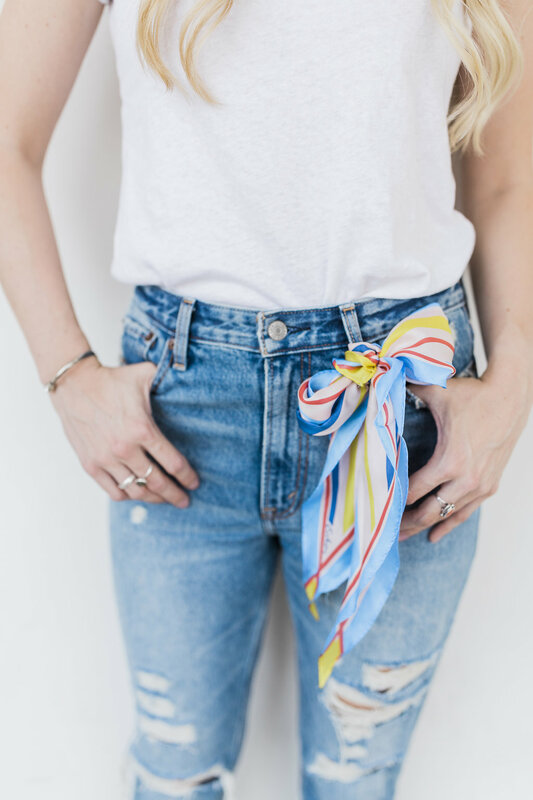 Wear it to the side with a scoop neck tee or in the center for a longer one (goes great with a classic button up). 5. 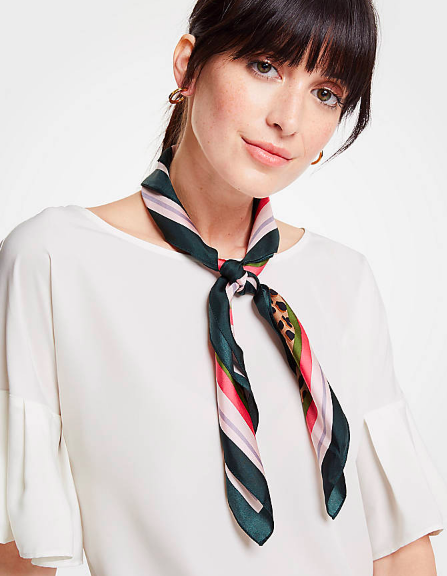 Why knot tie it in your hair? Last but knot least (get it) is tying it on top of your hair! 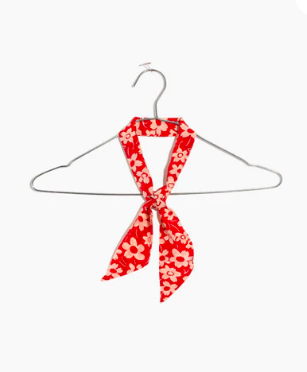 Just like you do with a bandana tying a little bow at the top adds that extra fun and feminine touch. 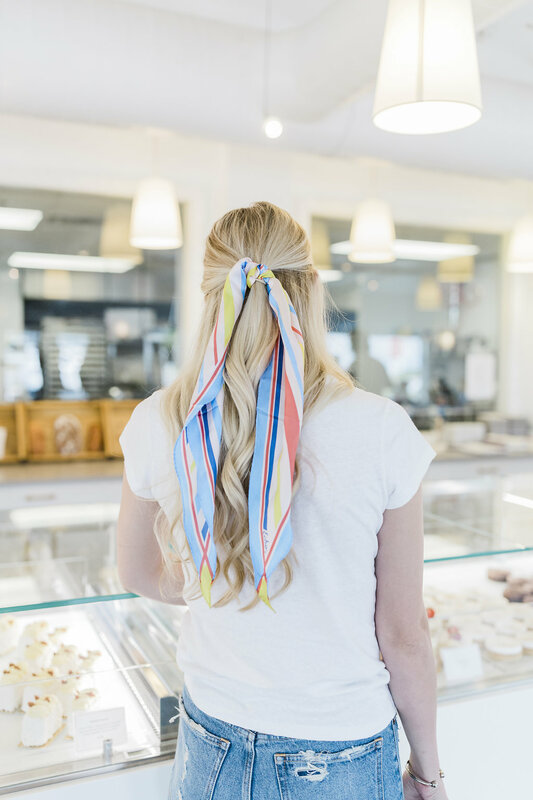 Even move the bow to the back for a different take on the look. 5. 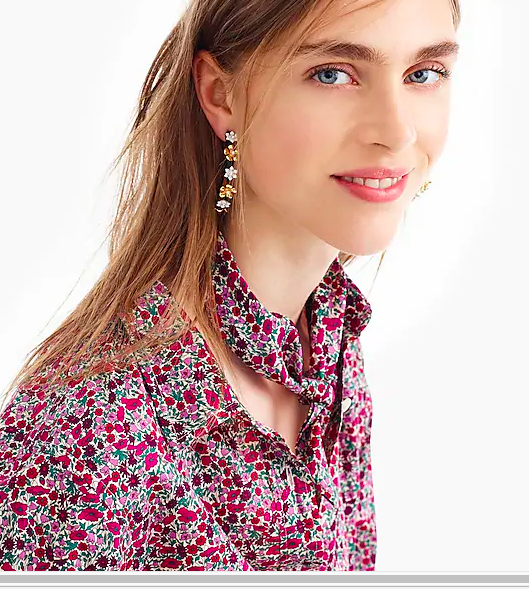 J. Crew- Give me allll the floral print!! Another favorite! Will be copying this look as soon as fall hits!! And that’s it! 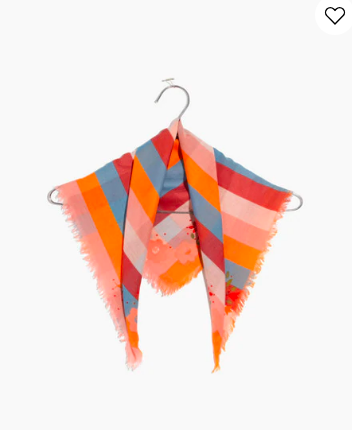 Hope you guys enjoyed reading and got a little inspiration on how you can add your own style with a scarf. Let me know which way is your favorite, and thanks again for following along, love you guys! !